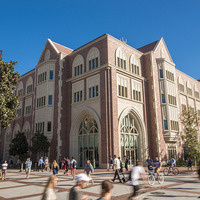 Wallis Annenberg Hall, an 88,000-square-foot edifice that blends tradition with technology. Incoming students, faculty and staff in the public relations, journalism and communications programs will have access to fast wifi, a converged media center, multimedia content creation classrooms, a cafe and numerous meeting and seating pods. Amazing!!! Joe's openess, clarity and perspective were super inspiring.